We found it natural to use ramson along with the seaweed for this spice. 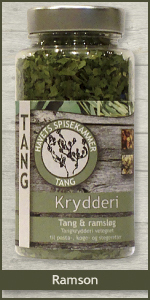 Ramson is very much used today in Danish restaurants, and we have added the seaweed to give the spice some extra saltiness. The bottle contains 25 gr.